Did you catch the eclipse? Anyone out there in Amish America-land catch the eclipse yesterday? More than a handful of Amish communities were in the path – going by NASA’s eclipse map below and state maps found here, it looks like around 15-20 communities in Kentucky, Illinois, and Missouri, were in the direct or partial path, with maybe a few more in Tennessee, Kansas and Nebraska. Since Amish people tend to appreciate the amazing things that happen in the natural world, I am sure there were more than a few Amish eyes to the sky in those areas yesterday. And looking at photos of people donning what looked like 3-D movie theater shades and gazing skyward, it struck me as a remarkable event. For one it was a phenomenon of nature, one that you needed not an app or complicated technology to enjoy, but rather just a pair of cheap plastic glasses. Eclipses seem like something that would get a lot of buzz in an era like the 1950s, but apparently even in a smartphone virtual world we still get excited for these simple, albeit uncommon, happenings of nature. In fact, many people went well out of their way to catch the event, with flight costs to “eclipse cities” like Nashville and Charleston going for well above normal and rooms booked years in advance. Not only that, apparently a lot of people checked out of work (with lost productivity potentially costing $700 million). Pretty impressive for a 2-and-a-half-minute-long event (unless those are mostly people who really, really dislike their jobs). Maybe a lot of it was the sheer rarity of the occasion. But on some level it’s nice we are still able to wonder at natural phenomena unmediated and largely unprocessed by technology. You could say it was kind of an Amish event. The previous total solar eclipse over the continental US occurred in 1979; the next one is slated for April 2024. So for those of you who caught the eclipse, did it live up to the hype? 15 responses to Did you catch the eclipse? Some traditional cultures see the alignment of an eclipse as sacred and choose not to gaze at it to prevent ill omen. I would be interested in knowing if this is true of certain Amish groups. On a personal level, I chose not to look at the eclipse but rather sit outside during it and listen and appreciate nature, rather than participate in it like a pop festival. My decision was based partly on belief but also I have to contemplate the mass production of glasses and how they will only be used once, polluting our earth with plastics and harmful metals. For example, on the back cover, one finds a chart entitled Anatomy of Man’s Body, As said to be governed by the twelve constellations. FISH. Will everywhere be moderately abundant. DISEASE. In the Autumn headaches and hypochondriac diseases will prevail. GRAPE CULTURE. In the course of twenty-eight years it happens scarcely once–as the ancients say–that in one year of that series a good vintage will take place, and mostly but an ordinary wine will be produced. We watched on the Tenn./KY state line, south of Auburn, KY. The beautiful farm country was on the “totality” path, and the site was inspiring; the Glory of God! On the way home, we stopped by our Amish Quilter in the Mast Family just south Auburn. We were delighted to see 4 of Mrs. Mast’s 30 grandchildren come tumbling out the door to greet us, and fighting to gain control of their one pair of “Eclipse Glasses.” I passed my pair on to them while we shared our mutual experiences of the Eclipse while we visited under the shade tree. Sounds wonderful John. 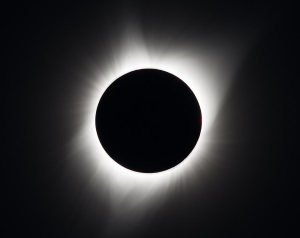 When I first thought about this, it didn’t seem like much to me and I wondered why people were so excited about it – the sun is blotted out for a few minutes, then it’s over – but seeing some photos and accounts it seems like it could have been an awe-inspiring event if you caught it in the right conditions. Nice that you got an Amish visit on the way home. Thanks for sharing! Like many others, I enjoyed watching yesterday’s eclipse! It was “only” a partial eclipse in our area but it was greatly anticipated nonetheless. Not to hijack the thread, but I have a question. I’m trying to find a book that was mentioned in a post last year: “Called to Mexico: bringing hope and literary to the Old Colony Mennonites”. No author was listed with the title. Does anyone know where I can purchase a copy? Many thanks! The library I work at decided to hand out solar glasses on Aug. 16–free, first come, first served, you had to be here IN PERSON to get a single pair of cardboard solar glasses. We had multiple (a hundred? More?) calls from what often sounded like desperate people, some willing to pay $10 for an “extra” pair. We opened our doors at 9 a.m., and by 10:45 a.m., they were all gone. We could have easily tripled the number & would have still run out. One man said he’d sleep outside overnight! We even had our voicemail begin with the notification that we were ALL OUT OF SOLAR GLASSES, but people still called or came in asking for them (the sign on the door didn’t deter them, either.) It was rather disturbing to me! More “gimmee-gimmee” from many people who (in my opinion) feel “entitled”. On the day of the eclipse, most staff who were in the building took some time out to observe the partial eclipse. I did. It was more interesting using the glasses than using the “pinhole in paper” technique when I was a kid! Even though the sky was somewhat cloudy, we could still see the sun being “bitten” by the moon’s shadow. I will always remember the experience, as I do any “moving” natural experience—memorable sunsets, watching birds at my backyard feeder, being awed at how a blanket of snow “quiets” the earth. I truly appreciate all of God’s natural wonders! Wow Alice Mary, quite a run on those glasses! Sounds like you were a bit off the main path if you got just a bite and not full cover. Maybe I’ll keep 2024 in mind if the opportunity presents itself. Sounds more interesting the more I read what people experienced. We were at friends near Holland, Kentucky. The Amish/Mennonite event was near Elkton, KY. See http://www.createdheavens.com/ for a site by a Beachy Amish person who was involved with it. I heard 3500 people were there. I know of a number of Plain People who visited friends in the path (like we did). On the mennoworld.org website, there is an article telling of several Anabaptist (Plain and non-Plain) groups’ activities on the day of the eclipse. It includes a short report of the Plain Anabaptist gathering which Primitive Christianity mentioned and has a picture from the gathering. To read this, go to mennoworld.org and then read the article entitled “Eclipse inspires, brings Anabaptists together.” The section of the article that talks about the Plain gathering is headed, “Design of the Cosmos”. I’d read in days leading up to the eclipse that totality is 10,000 times more spectacular than just seeing 99 percent, and now I know why. Totality is just that: the total experience. It’s the difference between “on” and “off.” Viewing the sun’s corona with the naked eye is one of those incredible sensations that has to be experienced to be understood. We saw the total eclipse in Sparta, Tenn. This the first time I’ve seen totality, and it was spectacular! The difference between 99% coverage and totality is literally like night and day. We got to see the sun’s corona (without glasses) and experience darkness during the middle of the day. 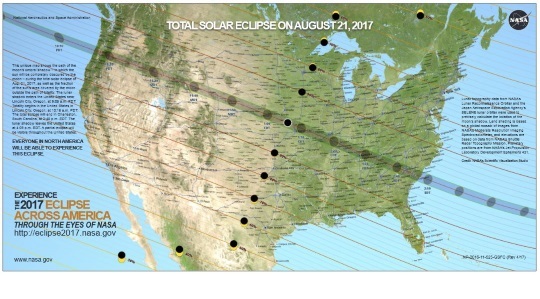 There will be another eclipse in April 2024 that will pass from Texas through Arkansas, Missouri, Illinois, Indiana, Ohio, Pennsylvania, New York, and southern Canada, so make your plans! I guess I don’t get how a 1% difference could be so stark, but that’s what fascinates. Leave a reply to Did you catch the eclipse?